Great-Grandchildren: Many Webers, Schriers, Riggs and related families. Mary was born in County Donegal, Ireland, married James Griffin in St. Eugene’s Cathedral in Derry, and emigrated to the United States. 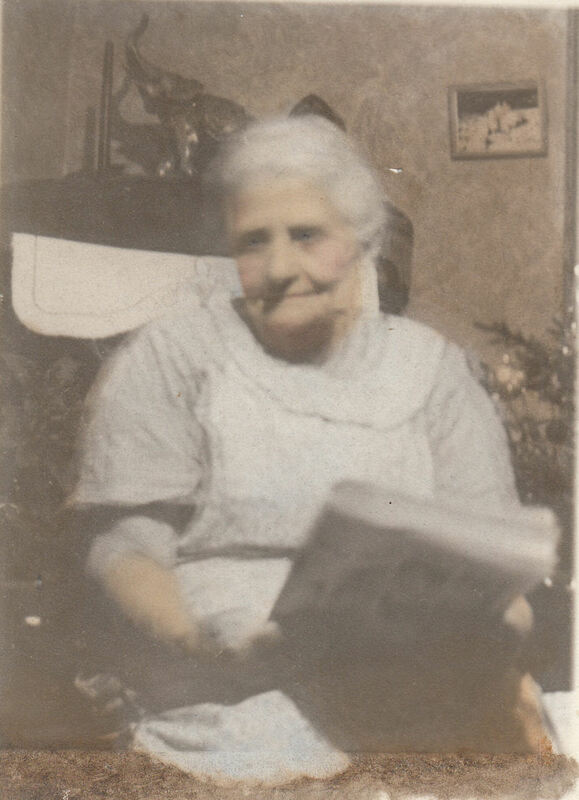 Mary died on May 23, 1939 (date needs verification – see obituary here), at age 84. This implies she was probably born in 1854 or 1855. Mary and James Griffin had four daughters and one son. The daughters are Elizabeth (Bessie) Griffin Weber (Frank Weber), Nora Griffin Takes (Leo Takes), Kathryn Griffin Schrier (Joe Schrier), and Viola Griffin Riggs (Phillip Riggs). The son was James Griffin, Junior, who married Mae Prendergast. Kathryn Griffin Schrier is Bill Schrier’s grandmother. Bill and Kathy Schrier, along with Jane Schrier Kock and Robert Schrier visited the relatives in Inch Island, County Donegal in Year 2000. They recounted family lore that Mary Boyle and James Griffin borrowed money from Lord Templemore, who the British had set as the Lord of Inch Island, to emigrate to the United States. James Boyle of County Donegal stated that Mary and James crossed to the mainland from Inch Island in a horse-and-buggy on low tide, and “never looked back”. According to the obituary, Mary had lived near Blessing, Iowa, for 45 years, which implies they would have emigrated about 1894. James and Mary rented farms in the area near Blessing, Iowa, during their time in Iowa, and were members of the Blessing Catholic Church. At one point they rented the farm which was eventually purchased by Fritz and Elsie Meggers, which is about 3/4 of a mile north of the Schrier Family farmstead near Buckingham and Blessing. Joe Schrier met Kathryn Griffin at that point, right after World War I, courted her and they were married. Mary Griffin spent the last few years of her life – probably from 1936 when her husband died, until 1939 – living with Joe and Katie Schrier in the Schrier family farmhouse. I remember Bob Schrier talking about how she would sit near the dining room window and peel potatoes. The photo above left probably dates from this time.